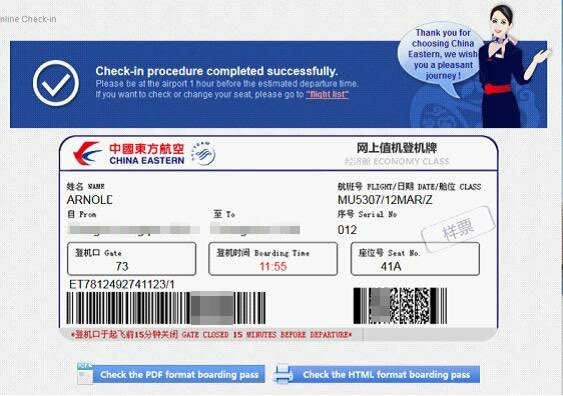 In this article I will you explain how you can obtain the tourist visa to China in Canada, in an easy and economical way, collecting all the documents electronically from your computer. 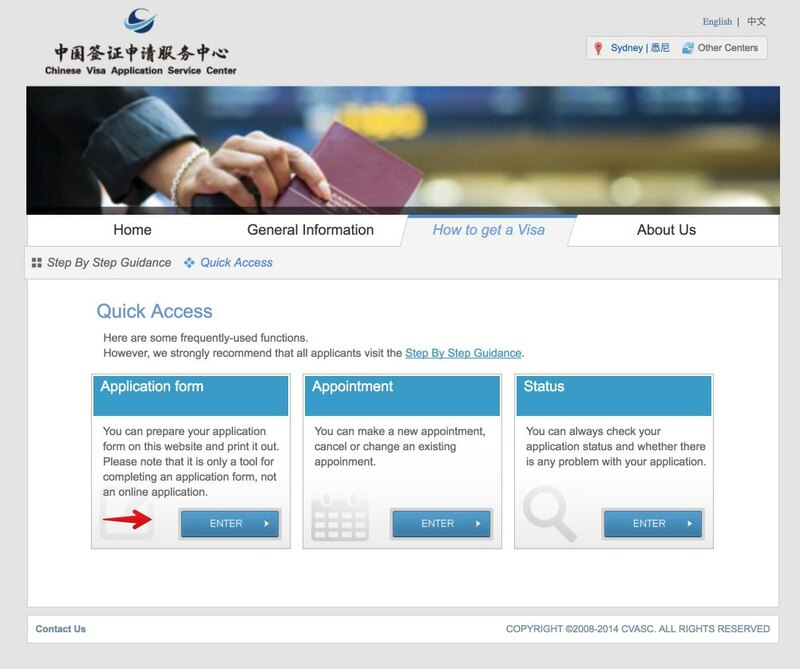 The Chinese visa proceedings can be done in two ways: using the online visa service offered by China Visa Direct or through the Chinese Visa Application Service Center (CVASC). 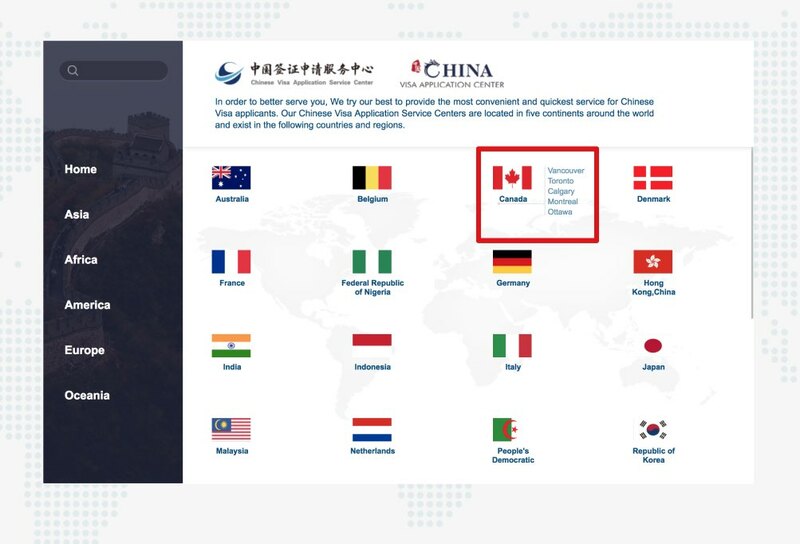 I will try to keep this article updated, but keep in mind that the proceedings in the consulates sometimes change from one day to the next, so I recommend that you compare the information in this article with the official information provided by the Chinese consulates in Canada. This article focuses on obtaining the Chinese visa in Canada, though the process is the same in the USA, UK, Australia or in EU countries. However, the proceeding may differ slightly in each country, so it is best to consult the Chinese consulate websites in each country. 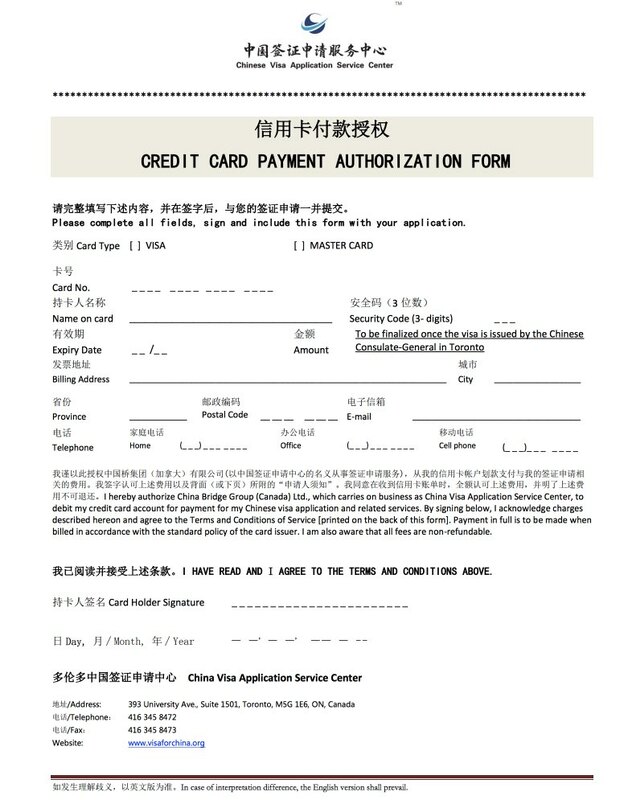 Until recently, the Chinese visa proceeding in Canada was carried out at the consulates of the Chinese Embassy in Canada; however, due to the increase in the demand for visas, the Chinese Consulate delegated these functions to a private agency, the Chinese Visa Application Service Center (CVASC). 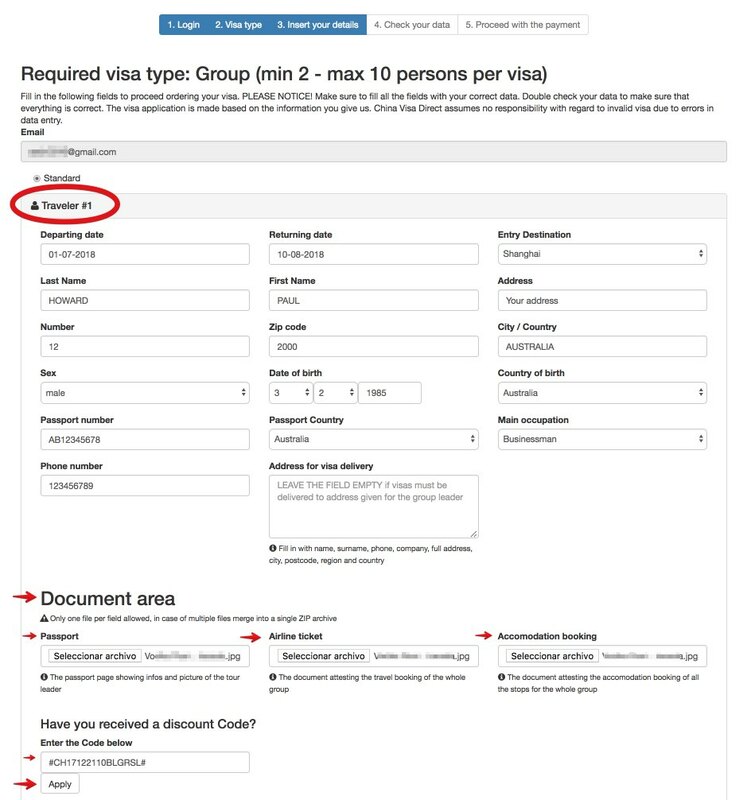 If you had to pay only the consular fees (100 CAD for the one-entry tourist visa), now you have to add the service fees charged by this private agency (45.20 CAD), so that the total cost of the one-entry visa is 145.99, as long as you do the proceeding personally at one of their offices in Vancouver, Toronto, Calgary, Montreal or Ottawa. If you live far from any of these cities and you apply through the courier service, the cost of the tourist visa is higher (163.28 CAD, plus round-trip shipping costs). These are the fees in Montreal, which may vary slightly in other Canadian cities. 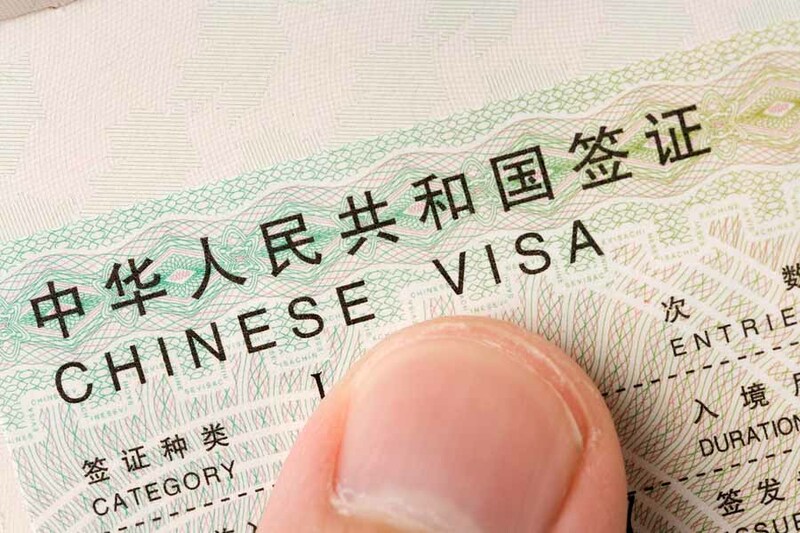 In addition, since 2016 it is also possible to carry out the Chinese visa proceeding online and without moving from home, through the renowned collective or group visa. 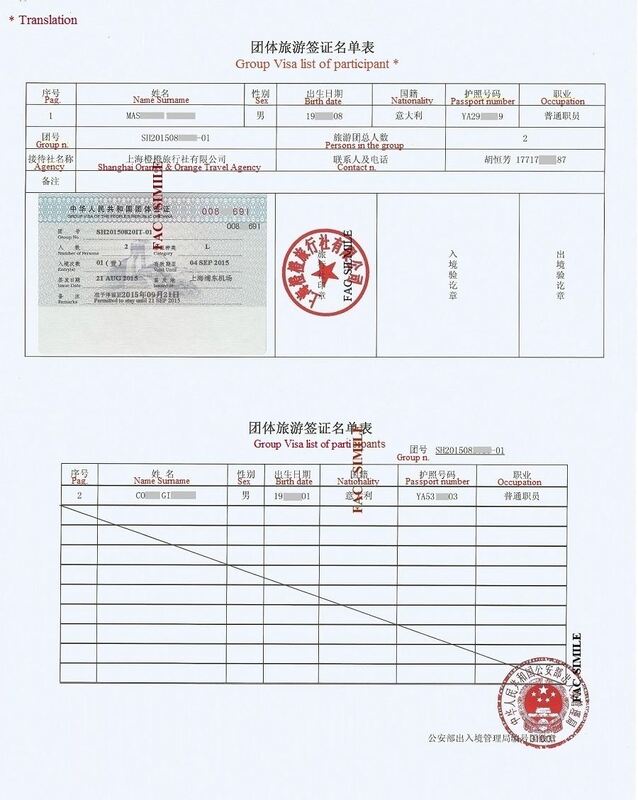 This proceeding is carried out by a private agency in Shanghai, called China Visa Direct, and the visa is issued to groups of 2 or more people traveling together and with the same itinerary in China. 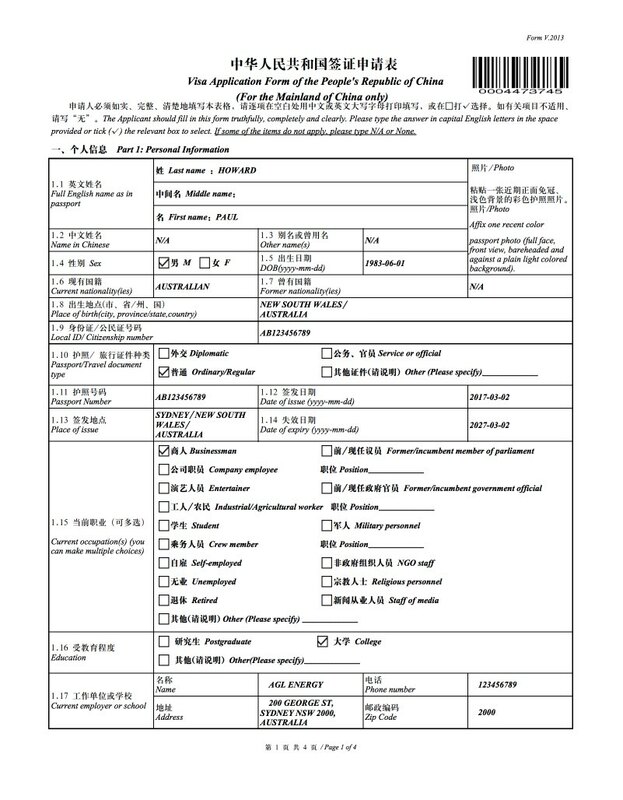 If in the visa process in the Chinese Visa Application Service Center (CVASC) you have to physically submit a series of documents and you get the visa physically stuck in your passport at the end of the process, in the case of the collective online visa you have to send the scanned documents through an online form and what you get at the end is a sheet with the stamped visa, containing a list of the names of the group traveling to China; this sheet is not attached to the passport and is sent to you from Shanghai to your home in Canada via international courier service, such as FEDEX, UPS or DHL. 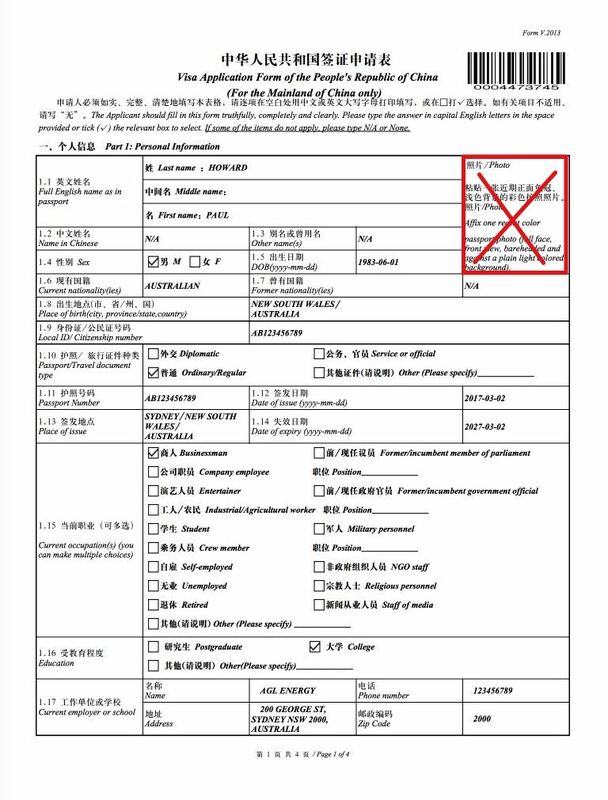 The visa is issued by the Immigration Office of the Ministry of Public Security in Shanghai and to obtain it some requirements must be fulfilled. To obtain this visa you must scan your documents and send them electronically: a copy of the passport page with your personal information, a copy of the round trip ticket (either by air or train) and a copy of the hotel reservations. The price can vary, according to your nationality. Prices come in euros. For Canadians it costs 99 EUR per person, though if you use the code #CH17122110BLGRSL# (with the number signs included) you will have a discount of 10%, so the total price per person would be 89.10 EUR. 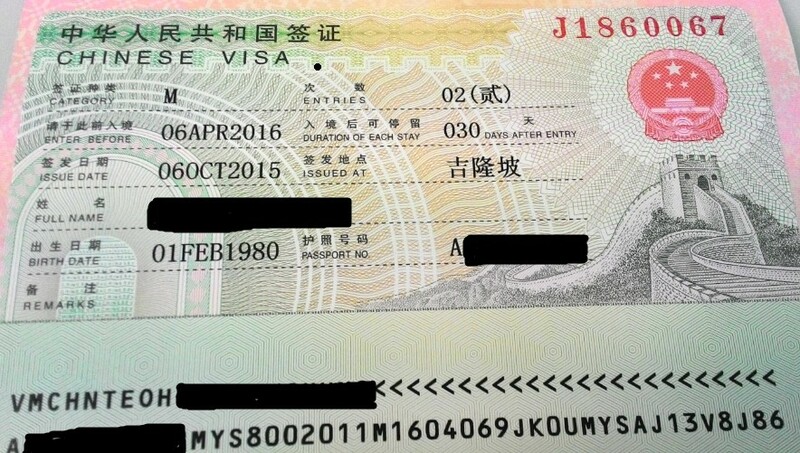 You can find the list of countries that can process this visa and the prices, according to nationality, here at this link: https://www.chinavisadirect.com/full-price-table. The visa is also valid for citizens of the USA, UK, Australia, New Zealand, South Korea and European countries. Why do they do so? 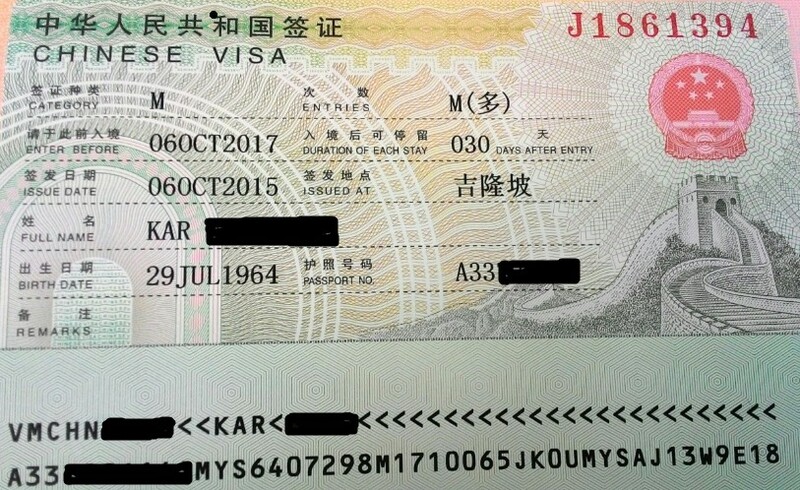 Because it is a valid visa for 30 days from the date of issue by the Immigration Office of the Ministry of Public Security in Shanghai, which must be used within 15 days from its date of issue. 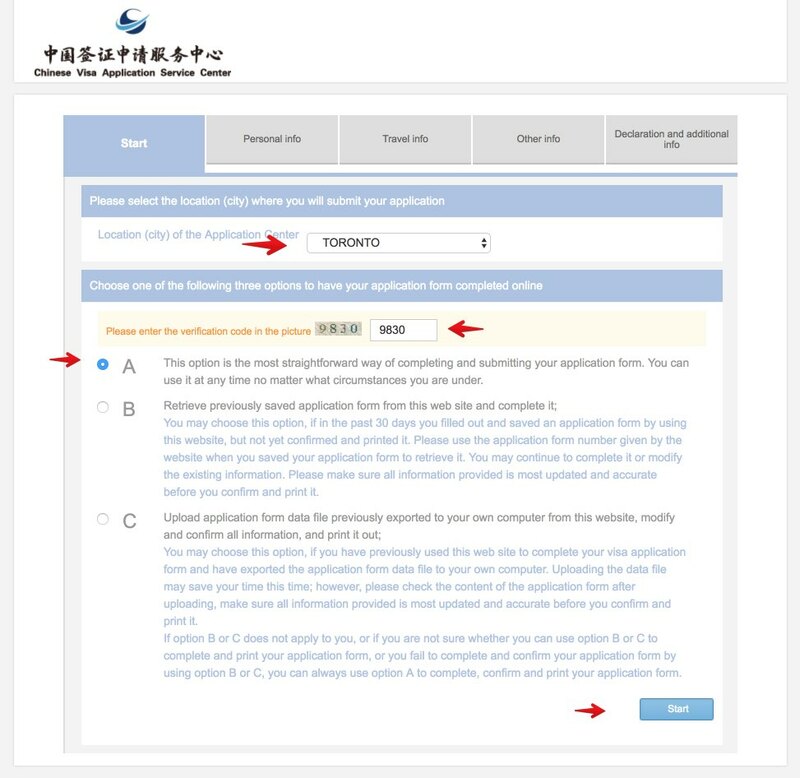 The visa is valid for a single entry, so if you plan to leave China to re-enter (two entries), this visa won’t work for you. IMPORTANT UPDATE. Since September 2018 the Ministry of Public Security requires also provide a recent photo to Color (size: 48 mm x 33 mm). Instructions on this link. 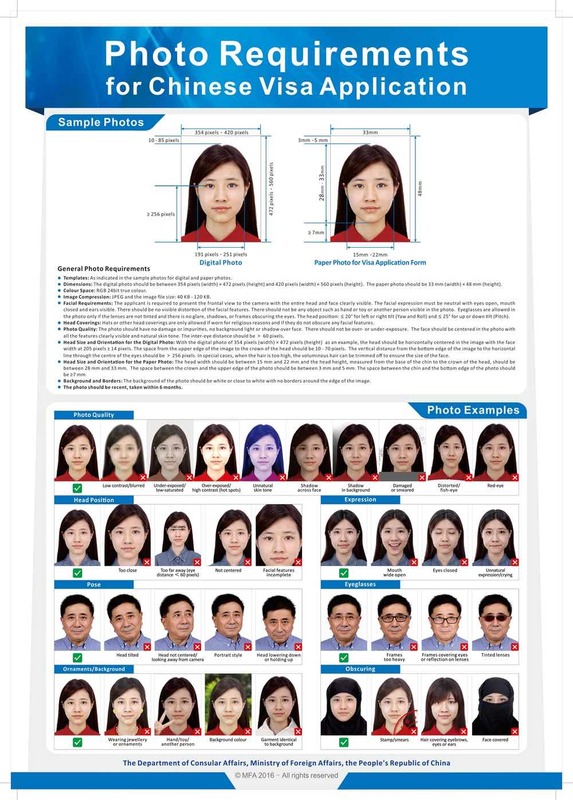 Therefore, when you apply for a group visa, you must also send a photo of each member of the group. 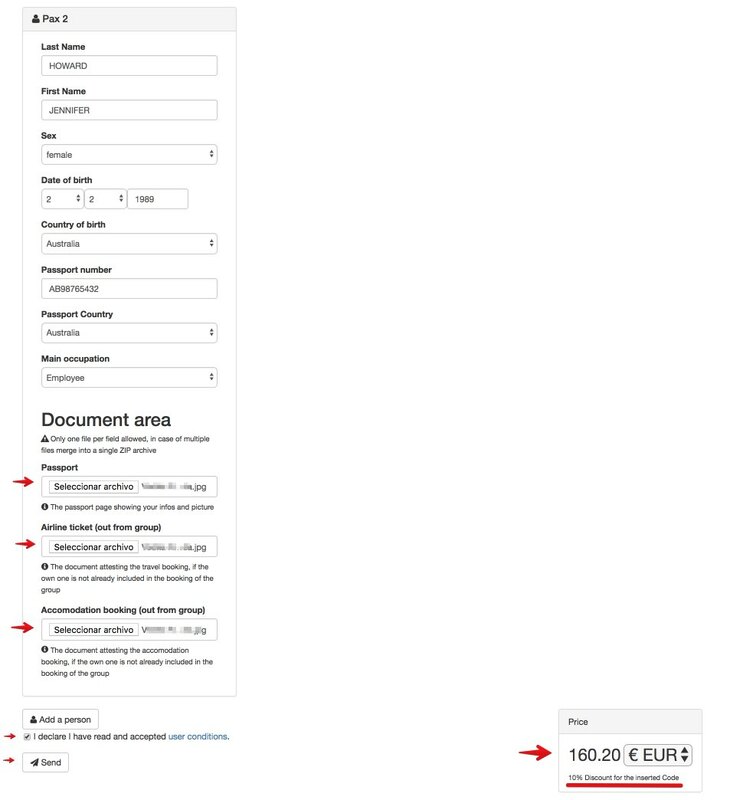 You can attach the photo inside the “Accommodation booking” section. 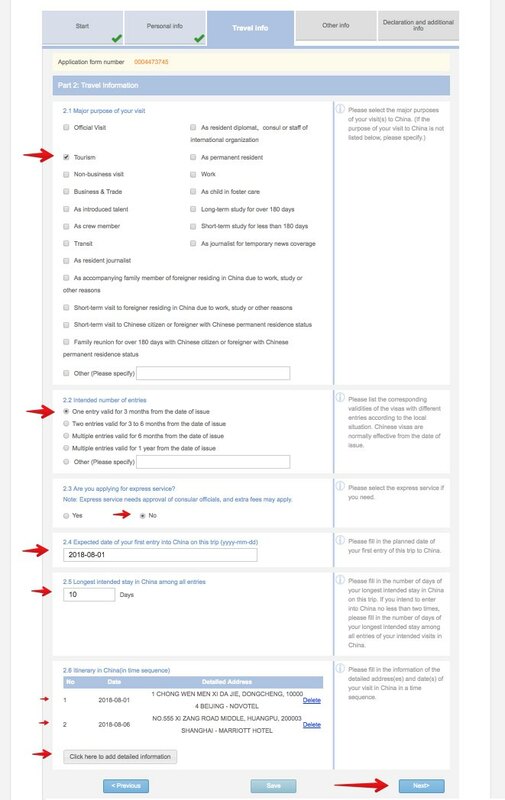 With a few exceptions, which you can check on the website of the Government of Canada, Canadians must apply for a visa to travel to China. There are many types of visa, depending on the purpose of the trip: tourism visa, business visa, transit visa, study visa, work visa, etc. 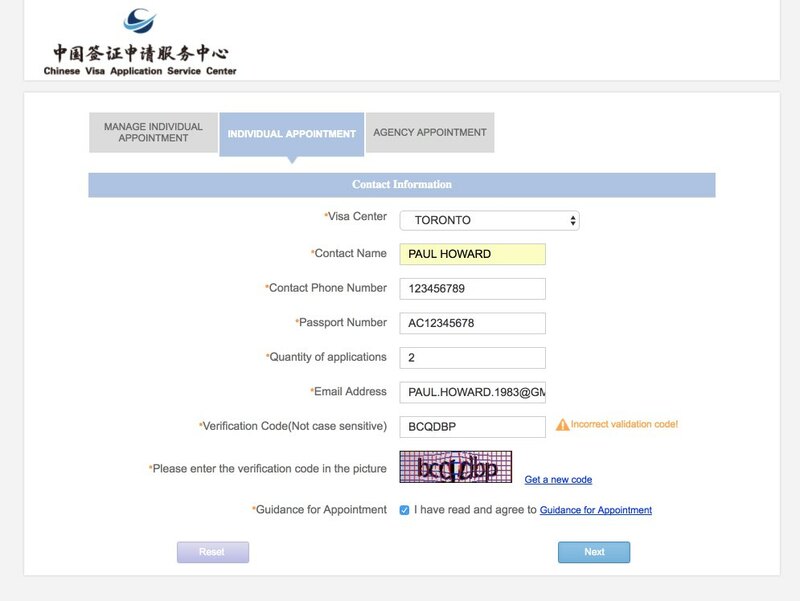 Next, I will explain step by step how to process the tourist visa to China in Canada. 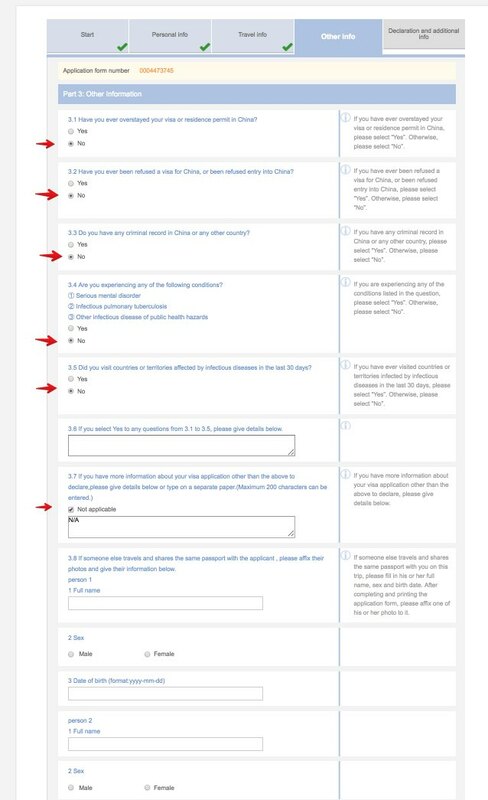 Before beginning in explain in detail each of the steps to follow to apply for the tourist visa to China in Canada, it is convenient to answer some basic questions to better understand the application process. If you complete the proceeding in person and submit all the required documentation correctly, you will have the visa in around 4 working days. However, keep in mind that the number of processing days may vary, depending on the time of year and the existing demand, but on average it’s around 4 working days. This period can be shortened if you use the Express (3 working days) or Rush procedure (2 working days), paying more. 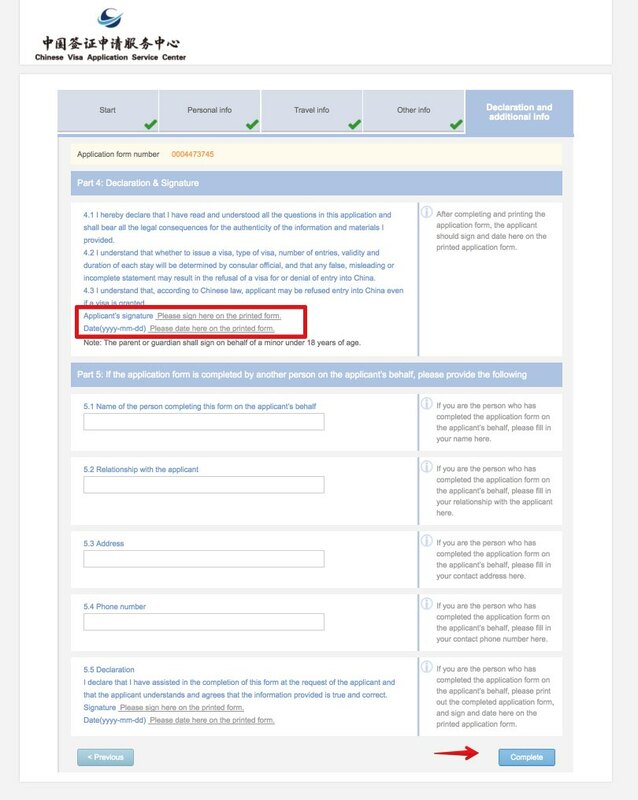 Example: if you submit the documents on a Wednesday, your visa will probably be ready on Tuesday of the following week. Multiple entries. The multiple entry visa is the one that allows you to enter China as many times as you want during the validity period of the visa. It is valid for 6 months to 1 year (or even longer, up to 10 years). 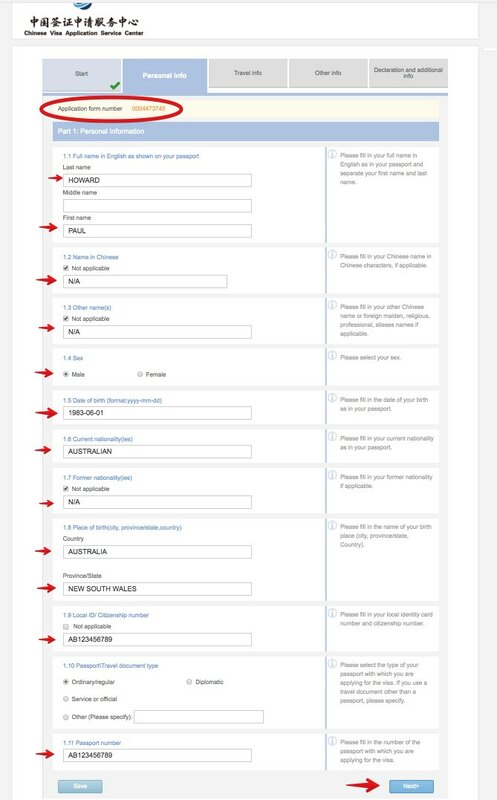 As you can see in the screenshot below, in the “Entries” section, M is indicated (which means multiple entries). 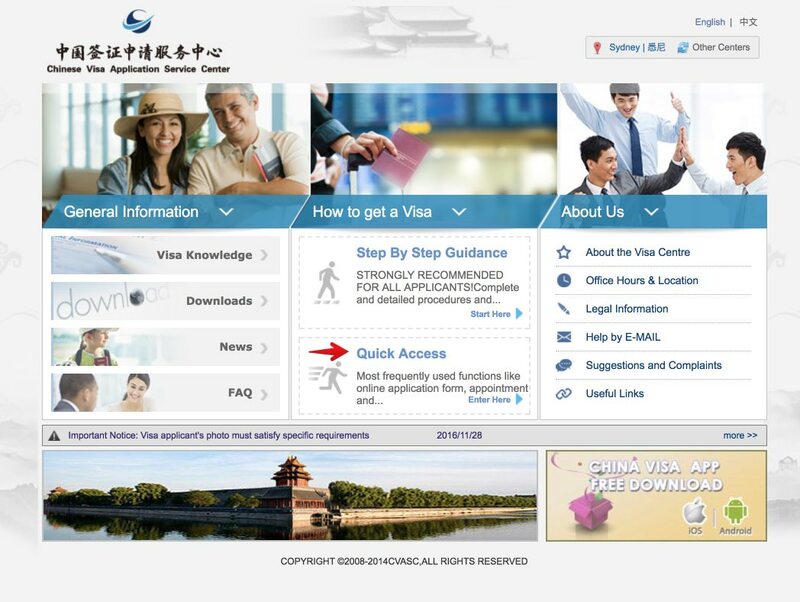 For every time you enter China during the validity period of the visa, you can be there for 30 days. 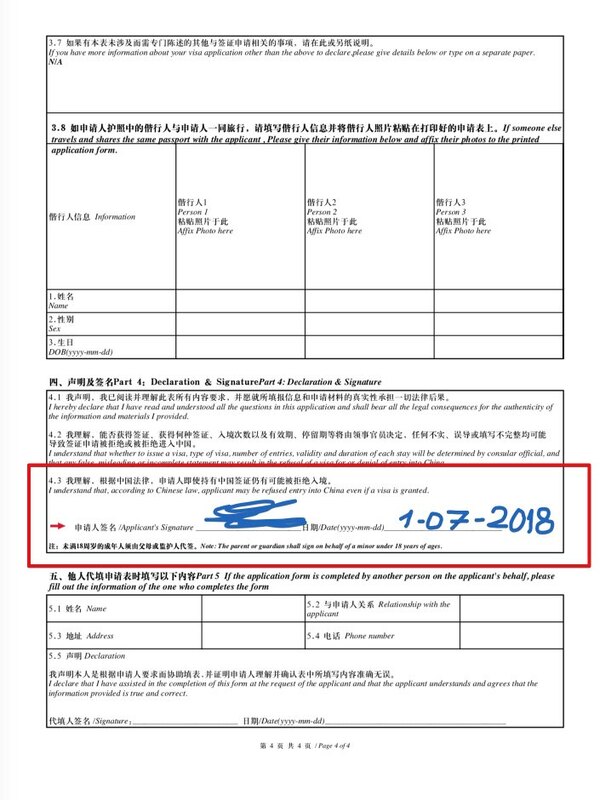 Starting from March 2015, China announced that multiple-entry L (tourist visa), M (business visa), Q2 (family visit visa), and S2 (short-term Private Visit Visa) with the validity for up to 10 years (not exceeding the life of the passport) would be issued to citizens of Canada. The duration of stay is 60 days per entry for tourist and business visas. Note that the validity of visa depends on the validity of the applicant’s passport. When you fill out your visa application, find section 2.2 where it says “Other” and write “Multiple entries valid for 10 years from the date of issue” in that space. 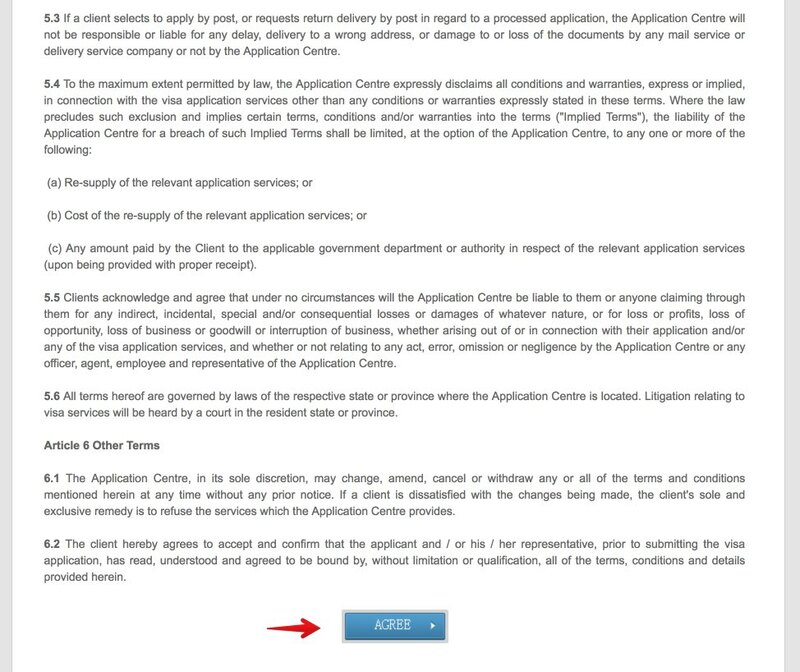 The application requirements are the same. 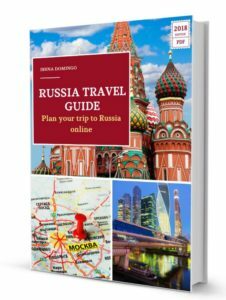 The only time you need to provide travel documents (proof of round trip tickets, hotel reservations, etc.) is when you’re first applying for the visa. 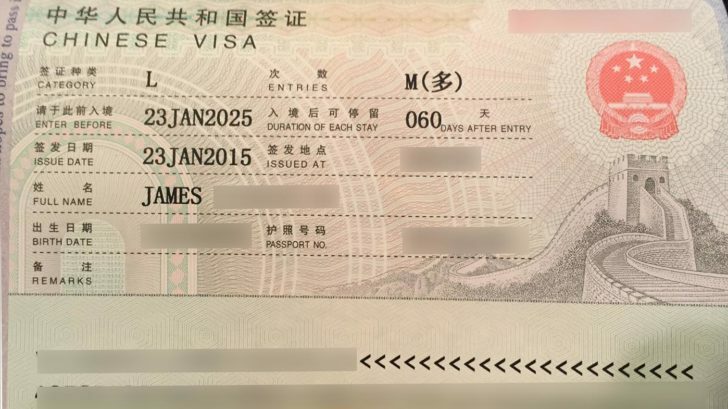 Once you actually get the visa, you have the right to enter China at any time for the duration of the visa. 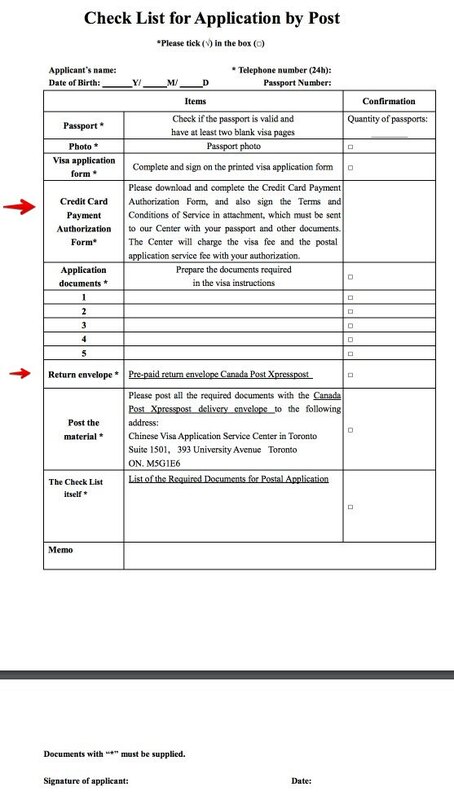 Now that all these concepts have been clarified, I will explain you step by step how to process the tourist visa to China in Canada. 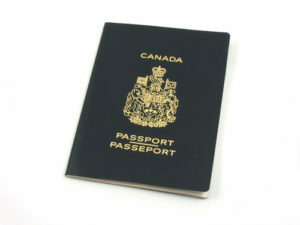 Your passport must have at least two blank pages, in order to place the visa there. 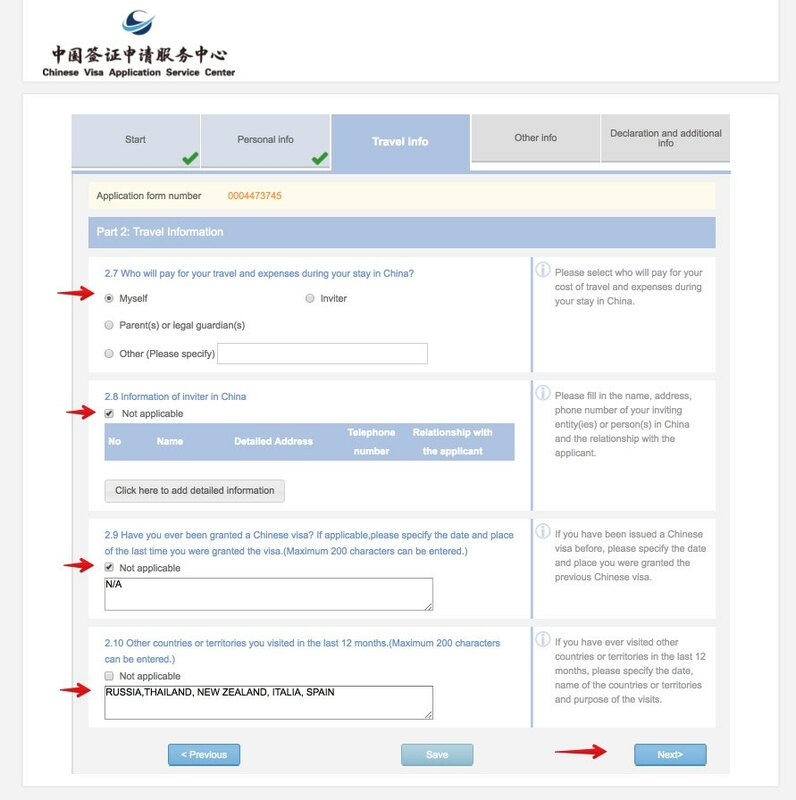 In this case, you must ask your friend to write you an invitation letter with your information, information about the visit (arrival and departure days, places to visit, relationship between the applicant and the person who invites), as well as their personal information (name, phone, address in China and signature). CVASC Ottawa: Ottawa Region (613 or 343 area code), Gatineau (QC), Prince Edward Island, Nova Scotia, Newfoundland and Labrador, Nunavut. 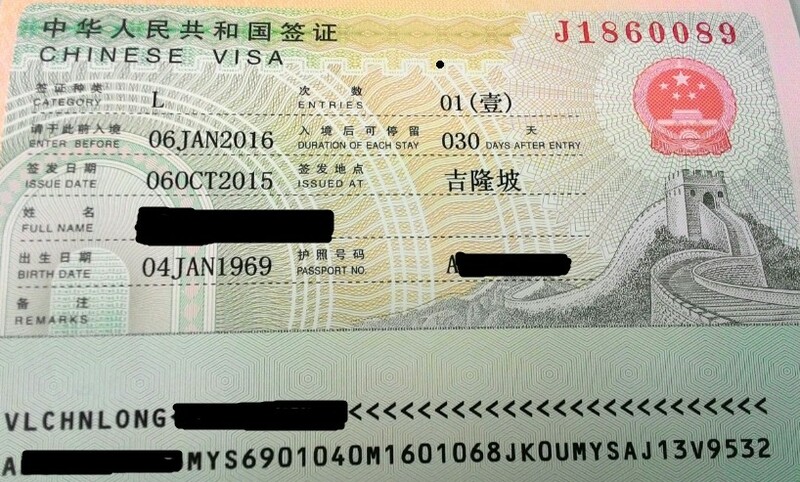 Notice: for a China’s 10-Year Visa, where it says “Other”, write “Multiple entries valid for 10 years from the date of issue” in that space. 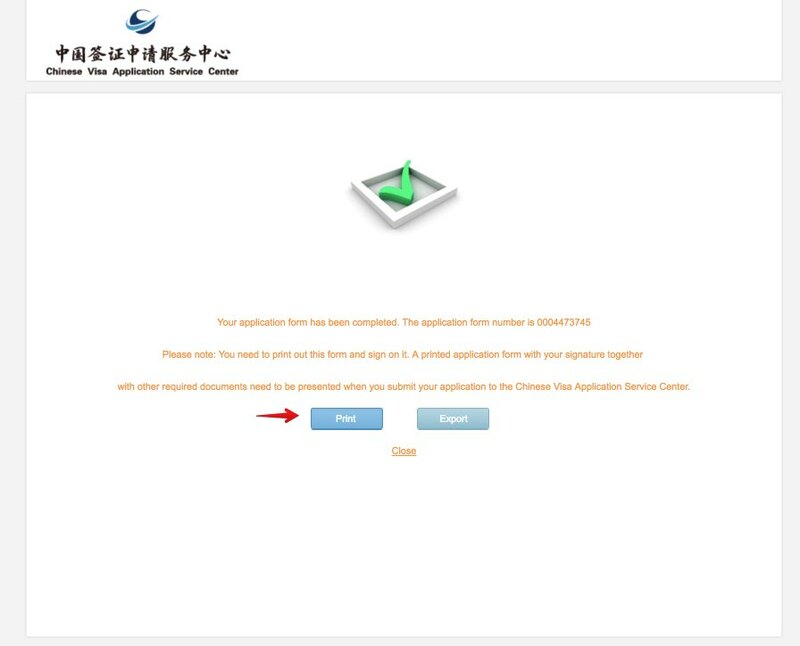 If you are going to complete the proceeding in person, the first thing you should do is to make an appointment, by going to the CVASC main page, clicking on “Quick Access” and then clicking on “Appointment”. 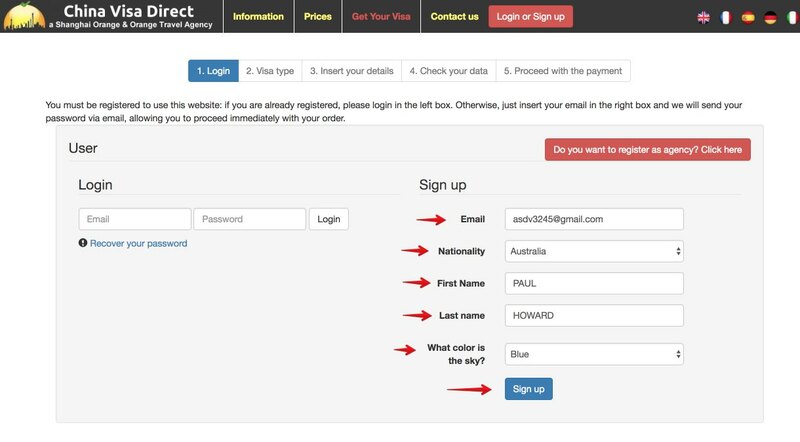 You must indicate your personal information and the number of requests that you will submit. Application by appointment is compulsory as from 15 October, 2015. You are suggested to arrive at the center 20 minutes earlier than your booked time slot with all documents required. 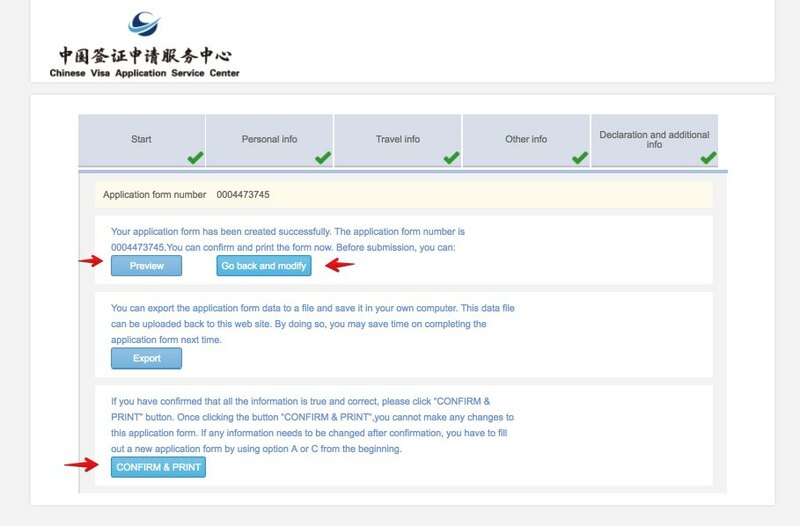 If you can’t go personally, another person (family, friend or travel agent) may go for you to submit the application with all the documents and also to collect the passport with the visa (an authorization is not necessary). IMPORTANT: the application form must be previously signed by the interested party (be careful to not forget this). 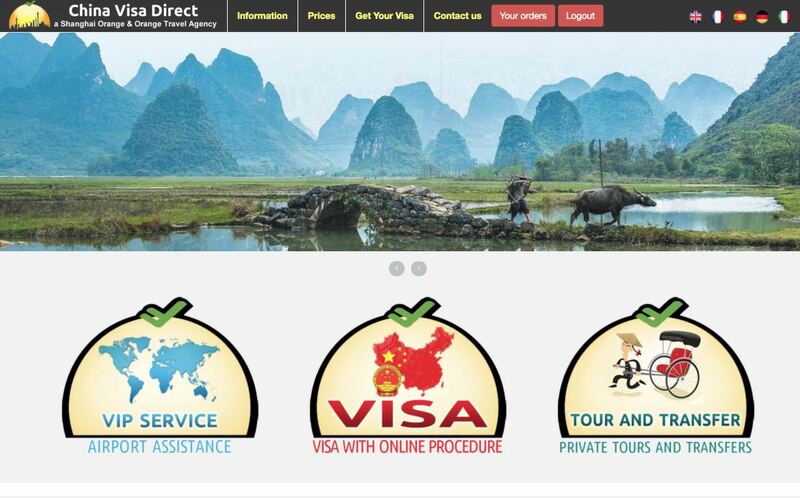 The Chinese Visa Center accepts cash and debit card. 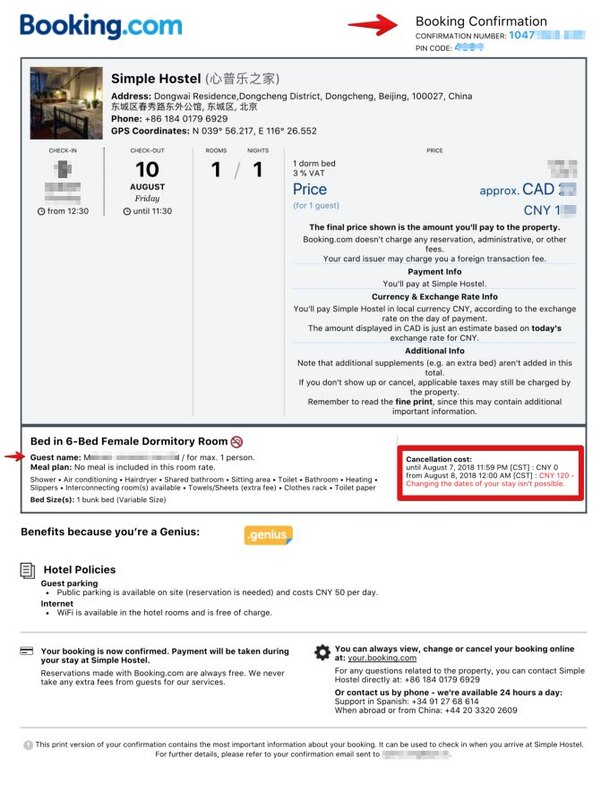 The standard procedure costs 145.20 CAD (if you use the express or rush proceeding, it is more expensive). 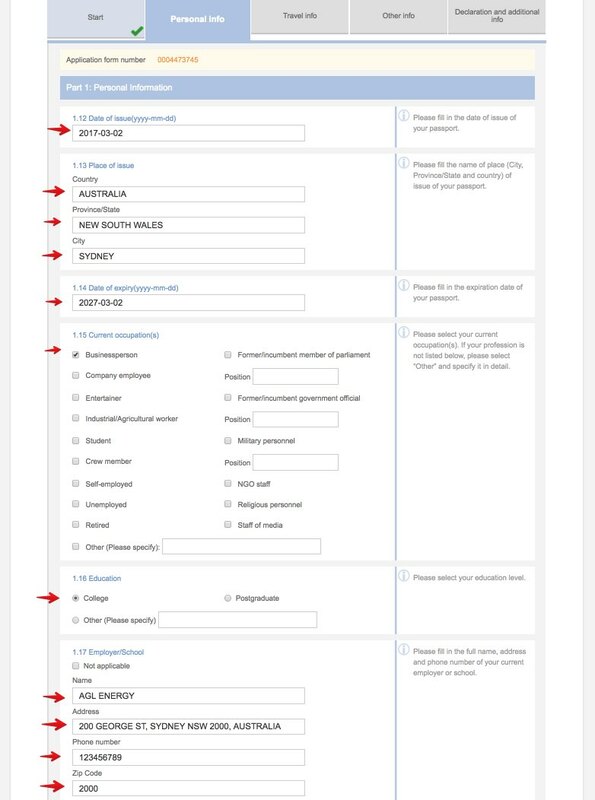 In the CVASC you have a check list if you are going to make the document submission by courier, that you must fill out and sign. 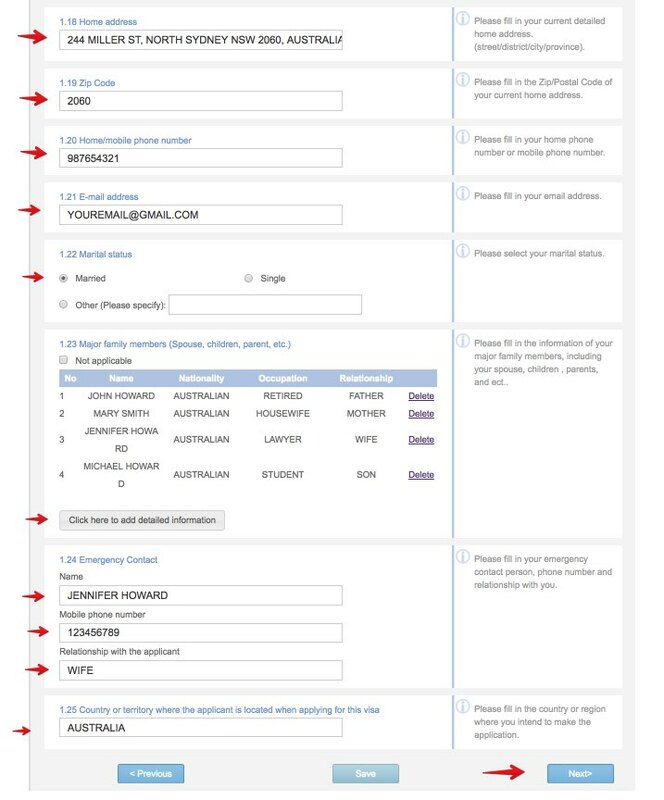 Once you have all the documentation indicated in the check list, you enter it in an envelope and send it. In the same checklist of each CVASC center you will have the shipping address. You can apply for several visas in a single shipment. 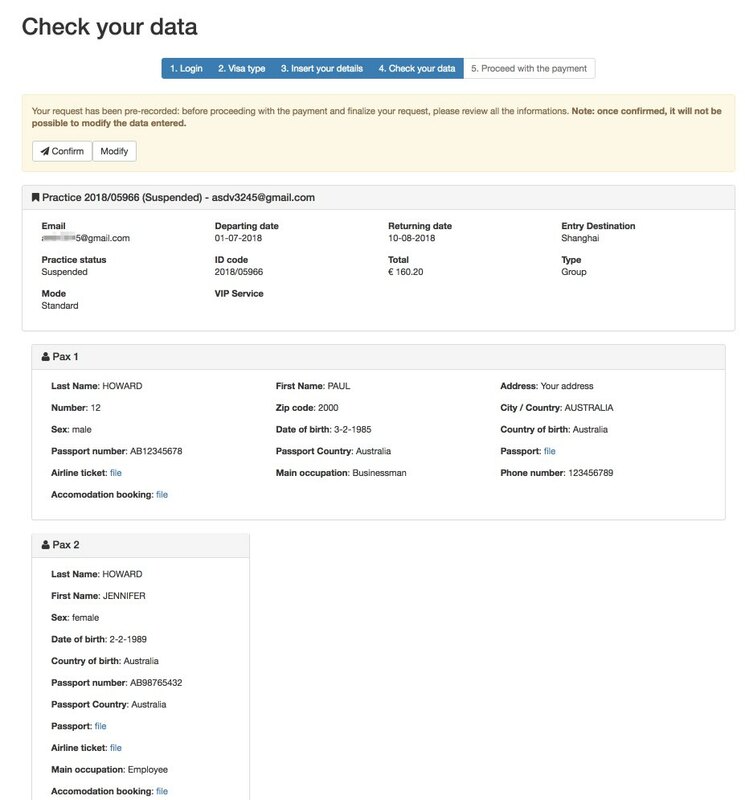 It is suggested that you use Canada Post Xpresspost to deliver your application. IMPORTANT. In some centers (for example, in Vancouver), the Visa Centre staff will inform you of the amount of payment when your passport is ready. 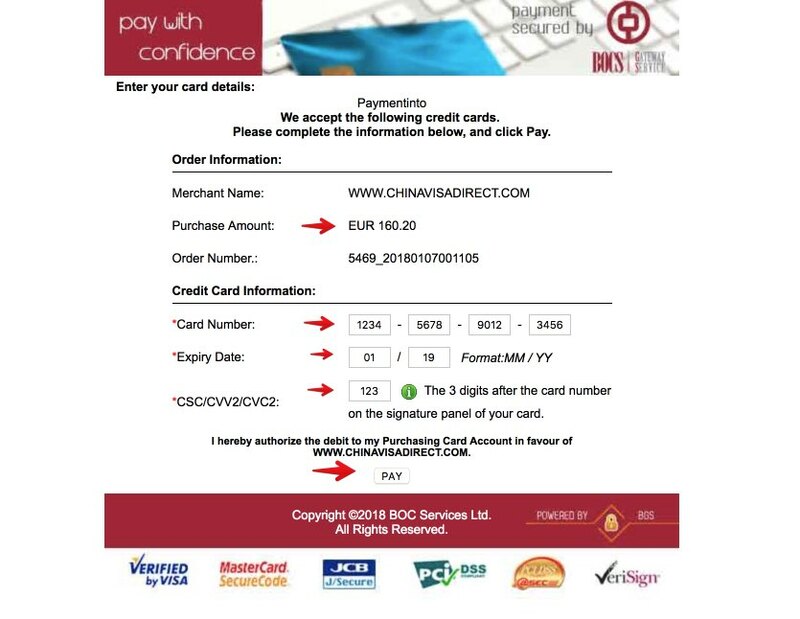 You can remit the payment to the Visa Centre by Bank transfer. The Visa Centre will post your passport back as soon as it receives your payment. If you lose this card, never mind, as you can get a new card at the airport to fill out, since it doesn’t come with any special stamps or numbers.